The VPS web hosting services provided by HostGator are among the most trusted in the industry. As a web host that has been continually committed to improving their services, these guys have really stayed on top of their game when it comes to delivering the best possible experience to users. Recently, HostGator changed many of the features and capabilities provided through their VPS hosting services. Most of these changes were aimed to give users the most customizable experience possible. They have five different VPS plans to choose from, each offering varying levels of hardware and software features. What Type of Hardware is Included With VPS Hosting Plans? The hardware included varies quite a bit depending on the specific plan that you go with. The most basic option, the Snappy 500 plan, includes a 0.5 core CPU, 512MB of RAM, 25GB of disk space, and 0.5TB of bandwidth. The Snappy 1000 package includes a 1.0 core CPU, 1000MB of RAM, 60GB of disk space, and 1TB of bandwidth. The Snappy 2000 plan comes with a 2.0 core CPU, 2000MB of RAM, 120GB of disk space, and 1.5TB of bandwidth. The Snappy 4000 and Snappy 8000 plans offer the highest levels of hardware features and are generally designated for corporations and large organizations. The hardware features for the Snappy 4000 plan are a 2.0 core CPU, 4000MB of RAM, 165GB of disk space, and 2TB of bandwidth. For the Snappy 8000 package, you receive a 4.0 core CPU, 8000MB of RAM, 240GB of disk space, and 3TB of bandwidth. 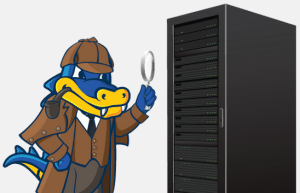 Where are HostGator’s Data Centers Located? 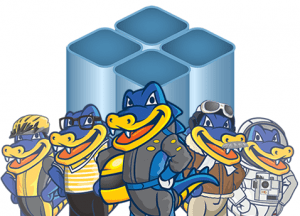 HostGator has two top tier data centers located in Houston, TX and Provo, UT. The Houston facility features 300,000 sq. ft. of data center space and is equipped with state-of-the-art server hardware as well as a HVAC and electrical system. The Provo facility is much smaller as it features only 8,000 sq. ft. of data center space. It has many of the same top notch features that you will find at the Houston facility. For optimal security, both facilities have 24/7 security and are designed to be as energy efficient as possible. What Level of Customer Support is Included With VPS Plans? 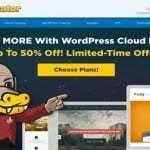 HostGator has actually won several awards in the past for the high level of customer support that they provide to users. Interestingly enough, however, they do not advertise any type of ‘premium’ customer support for users that decide to go with their higher priced options. The typical customer assistance provided by HostGator includes access to both live chat and phone support on an around the clock basis, including holidays. They also have an option for ticket based support if that is something that you prefer. While they do not provide any type of additional customer support for users that commit to higher priced plans, the fact that customer service is one of the most decorated aspects of HostGator is reason enough to trust that they will be there for you when you need them. Is a Website Builder Provided? Yes. No matter which VPS hosting plan you decide to go with, you will have access to one of the most easy-to-use website builders in the industry. One of the unique qualities of their website builder is the fact that it offers a variety of customizable options that are optimal for experienced users and is simple enough to use that novice users can have the same level of success with creating a professional, aesthetically appealing website. In addition to the website builder, users can choose from over 4,500 different website templates. They also provide you with a free website transfer if necessary and even give you free access to the reseller club. It should be noted that you also have the option to choose cPanel if that better fits your needs. What Types of Software and Programming Language Do VPS Hosting Plans Support? 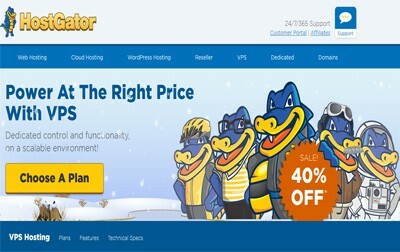 HostGator’s VPS hosting plans support a variety of popular software and programming languages. From mySQL and PHP to Perl and Django, each plan allows you to add whatever you need to make your experience as enjoyable as possible. Ruby on Rails and FFMpeg are also supported. How Many Domains, Sub-Domains, and Email Accounts are Allowed? Unlimited. Each plan allows you to create an unlimited number of domains, sub-domains, and email accounts to be registered to your virtual private server. Obviously the only restrictions will be related to the amount of RAM, disk space, and bandwidth available for each plan. It should be noted that only two IP addresses are included with each plan. At the end of the day, you just cannot go wrong with choosing HostGator for their VPS hosting services. The high level of customer support, top notch technical features, and state-of-the-art security make them one of the top five web hosts in the industry for virtual private server hosting. One of the best parts about HostGator is that they make it extremely easy for you to transition to a different plan if you end up exceeding the limits on your current plan. If you are unsure of where to start, their friendly customer support staff will walk you through exactly what you need to make sure you are making the right decision. Allows you to customize anythng according to match your specific hosting needs. Provides 24/7 phone, chat, and email support. Free sitebuilder website building tool. Not the most economical option for business hosting.